At Linda Louder Law, we understand that people considering bankruptcy are having financial problems. This is why we offer a $1 down* option. If you qualify, you make payments only after we file your case. Our goal is to stop garnishment and creditors from calling you immediately. Our initial consultations are free. Yet, when you leave our offices, you will feel as though you’ve received thousands of dollars of advice. We will discuss the immediate solutions that will stop the creditors from calling or wage garnishment from happening. When you leave Linda Louder Law, you will feel confident in your next steps, understanding that you are taking the smartest, most strategic path to help you recover and put your financial problems in the past. Since 1998, Attorney Linda Louder has been Sacramento, Califormia’s best bankruptcy attorney. 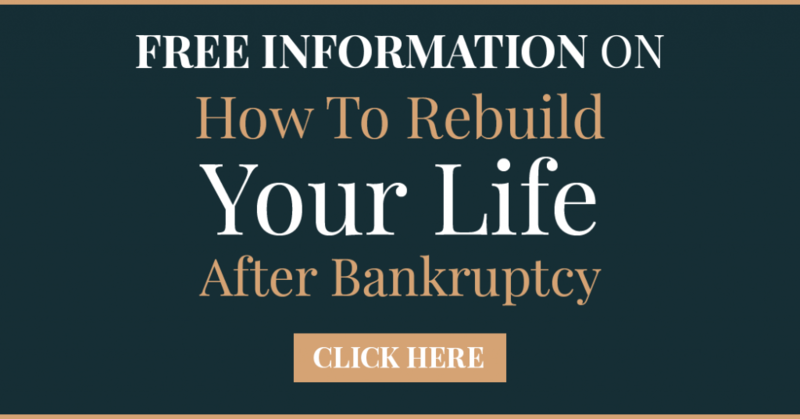 Linda Louder shows her clients how to recover through bankruptcy. In fact, many clients have said that bankruptcy was their lifeline, their path to financial recovery. The Linda Louder Law Office was established in 2000 and quickly became one of the most recognized firms in the greater Sacramento area. We are not your “off the shelf” attorney. When you visit our law firm’s office, you will find a personable, comfortable, yet highly professional atmosphere that offers quality representation with dignity. As a devoted wife, mother, and grandmother, she brings the life experience necessary to fully appreciate all aspects of a case. As a result of my experience with counseling families during these stressful times, her practice includes Bankruptcy and Criminal Defense issues. Linda’s success can be credited to her diplomatic nature, excellent negotiation skills, and an unwillingness to settle for an unjust resolution. Linda Louder helps clients explore all options, including debt settlement, credit counseling and improvement, and Chapter 7 and Chapter 13 bankruptcies. Indeed, declaring bankruptcy is not for everyone—and we will be the first to tell you if you should explore other options. If you are a candidate for bankruptcy, Linda Louder Law, who has partnered with 7 Steps to a 720 Credit Score, will show you how to increase your credit score to 720 in just 12 to 24 months after your bankruptcy discharge or confirmation. This credit program is included in the price of the bankruptcy. Linda was one of the best and easiest attorney to work with. She assured me I would have her help every step of the way in dealing with my bankruptcy case. And not only did she keep her word, but she made my whole situation a lot less intimidating. Thanks again Linda! Linda and her staff are extremely helpful and caring! They handled our case quickly and responded right away whenever we had a question! They were also very flexible to work with our busy schedules! I went to Linda for a case I had to deal with in the court system. Her and her staff were very knowledgeable about current laws and the appeals process. She is very professional and punctual about dealing with case’s in a timely manner. She’s been doing this I think sixteen or seventeen years. She can also help with a variety of things from criminal law to family estate laws. I have used her attorney practice several times, dealing with tickets, to family trust and wills. Linda Louder is by far the best attorney I’ve ever dealt with and I’m 50 years old. She is very reasonable priced too by the way. I would recommend her to anyone. That’s why Linda Louder Law makes the process fast. You will meet with Attorney Louder to discuss the specifics of your case and explore all options. Bankruptcy is not for everyone, but if it makes sense for you, we will discuss the benefits, which include eliminating debt and the ability to improve your credit score. (Most of our clients are surprised to hear that after their bankruptcy, their credit scores can increase to 720 much, much faster—in just 12 to 24 months—by following our process. I’ve contracted with 720CreditScore.com, the creators of the program “7 Steps to a 720 Credit Score,” to provide this program to all of my clients -absolutely free- as part of their bankruptcy. The results speak for themselves… you can have a 720 credit score in 12-24 months after the bankruptcy. Copyright© 2019, Linda Louder Law | 7 Steps to a 720 Credit Score. All Rights Reserved. The information on this website is for general information purposes only. Nothing on this site should be taken as legal advice for any individual case or situation. We are a debt relief agency helping people file for bankruptcy under the U.S. Bankruptcy Code. This information is not intended to create, and receipt or viewing does not constitute an attorney-client relationship. *$1 Down is based on qualifications and refer to attorney fees. Linda, Kris, & staff are nothing short of excellent! I appreciated working with a informative and quick moving team. They have a Very efficient response time. I recommend this law office to all. Linda and Kris are amazing As soon as I met them I felt so comfortale. Filing bankruptcy was very dificult for me as I am sure it is for most. I met Kris first. She made me feel so comfortable. She never made me feel guilty or any of those feelings I sometimes felt inside. Kris was very professional and very kind and understanding. There was never any pressure for payment which one feels so often. I choose to make a large down payment and the paid it off as fast as I could. One can make different payment choices. It is up to you, no pressure.Things moved so quickly. One day in Kris's office I met Linda they instantly made me feel as if we were all friends. Genuinely not phoney as many do.Let's move on to the court date. My legs felt like Jell-O and I felt as if I was going to do poorly in the courtroom. Then I saw Linda and she said all the right things to calm me down. She sat beside me through it all and it was over in a blink of an eye. Afterwards she made sure I was alright and assured me I would be fine.If you find it necessary to go through this devastating decision in your life choose Kris and Linda to go through it with. They will not disappoint you Sharron PS go through the free class afterwards. You will learn what you need to to get back on track financially.